It’s true. A year ago the loss of that much money would be front page of every newspaper, instead of buried inside of an analysis in the business section. We were all getting used to such numbers that only hundreds of billions – or perhaps trillions – matter much anymore. It reminds me a lot of the Kuiper belt. Almost seven years ago we discovered our first truly large object in the Kuiper belt. It was given the license plate number of 2002 LM60, but we quickly named it Quaoar, after the creation force of the Tongva Native American tribe indigenous to the Los Angeles basin, in homage to the fact that the discovery was made by us right here in the Los Angeles basin. Quaoar made the front page of most major newspapers (except, amusingly, the Los Angeles Times). At the time of the announcement of the discovery, the most important thing that we knew about Quaoar was that it was about half the size of Pluto. It was thus likely bigger than anything that had been found in the solar system in the past 72 years. The main part of the story that newspapers honed in on was, of course, whether or not Pluto should actually be called a planet. My very favorite quote, published in the Birmingham, Alabama newpaper, quotes me saying “Quaoar is a big icy nail in the coffin of Pluto as a planet.” Pretty good quip, I thought. The next year we announced the discovery of Sedna, both larger than Quaoar and on a distant elongated orbit that made it more distant than anything else that we had ever found. Explaining that odd orbit has been a task I have been trying to continue to this day. I still don’t know the answer, but the mystery made the front cover of Discover magazine. A year later we hit the jackpot, with the discoveries of Haumea, Eris, and Makemake. With Eris being larger than Pluto and eventually providing the silver bullet into the heart of Pluto’s planethood, it received a lot of attention. After some time we started all over again, looking specifically for really super distant things like Sedna. We found a lot of things, but only one thing really far away. It wasn’t as far as Sedna, or even as far as Eris, but it was indeed the third most distant thing we had ever seen. By now we understood the distant Kuiper belt to know that, basically, we should never see it. The only reason we ever see things is when they are brighter – or more reflective – than they are supposed to be. The only reason that things are more reflective than they are supposed to be is that they are big. The only thing that made sense is that this new thing we had found was big and reflective. We nicknamed it Snow White. The survey that found Snow White was specifically looking for quite distant things like Sedna; things that would help us better understand the beginning of the solar system. Snow White, we finally learned, was not like Sedna at all. It was just a normal Kuiper belt object found slightly far away. Bigger than most, but otherwise, as far as we knew, unremarkable. Our normal policy is to delay the announcement of particularly interesting Kuiper belt objects until we have prepared a full scientific paper on them. Snow white perhaps deserved the same treatment. It is big; big is inherently interesting. But… we had nothing interesting to say about this one. It has a typical Kuiper belt object orbit. Its reflectance spectrum shows nothing particularly unusual. It’s just a big Kuiper belt object. Perhaps even the 5th largest one known. It probably fits between Sedna and Quaoar in size. A few years ago it would have been front page news. Now? Yawn. Nothing. A few people have written me asking why the press has been so unkind as to ignore Snow White. But don’t blame the press. Just blame me. We didn’t even write a press release to warn the press that there was anything interesting to write about. Because, in the end, I couldn’t think of anything interesting to write about. It’s just a big Kuiper belt object. I don’t think that it individually tells us anything particularly new about the outer solar system. Quaoar was a good signal that Pluto’s demise would come soon; Sedna was a sign of an entirely unknown distant population; Haumea and Makemake and Eris were each scientifically rich in the things they taught us about what it is like to be a tiny icy body. Snow white? Well, it’s just a big Kuiper belt object. Someday we’ll learn more. Perhaps it will have a moon. Perhaps our quick look at surface composition overlooked something particularly interesting. 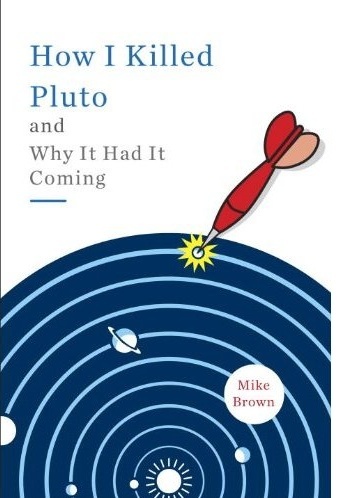 If so, we’ll be ready with a bail out: prepare a full scientific paper, maybe even tell the press this time and use the opportunity to educate the public, once again, about what is fun and interesting out there at the edge of the solar system.